699 people have added this product to Wishlist. Bajaj DX 7 Non Stick Iron is a dry iron. It is loaded with a non-stick coated soleplate. 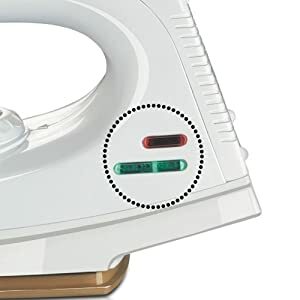 This dry iron is equipped with a temperature control. Bajaj DX 7 Non Stick Iron features an indicator light and swivel cord. The maximum power consumption by iron is 1000 W.
Saving of upto Rs. 87. Great of doing. But sometimes it is not getting heat. I first ordered a Philips GC83 Iron which is a highly deffective iron, I ordered replcements THREE TIMES each times the iron being faulty and flipkart was kind enough to replace them without any questions. Being fed-up with Philips GC83 Iron I ordered this iron as a replacement the forth time, Without any problems flipkart was kind enough to provide a replacement with another brand and I got this iron in some days. 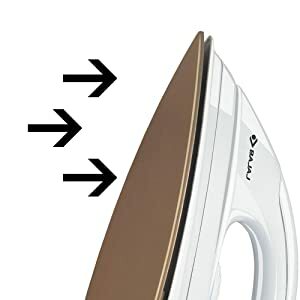 This iron is really good product and it heats up fast and the temperature control dial also works smooth. I am using it for over 9 Months without any issues. It has two Light indicators. Red one stays constantly on denoting that iron is connected with power. Green one goes on / off according to heating. The non-stick base is also intact and has not worn off. So people, If you wanna buy it , trust me with this product and buy it from flipkart, as the market price for this iron is Approx. Rs 800/-. Super light.... 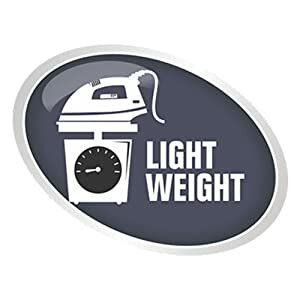 This product was only the second fastest delivery made to The iron is very very very light in weight !! Wire is about 1.5 meters long (only this is not mentioned in product description although it a very important factor) !! The temperature control works perfectly although i have used it only for 1 day right now, lets see if anything happens in 30 days !!! Another thing is that the wire plug ending is (as obvious but for your information) it is 3 pin !! 3 pin plug !! Good quality product. Heat generation is good. Best in the price range. Brought this iron from amazon,thinking that it would work well,but after sum weeks I has stopped working, the lights of the iron are on,but it does not get hot...So I wud like a refund . Very good Product for Bajaj. We have aggregated Bajaj DX 7 Non Stick Iron price and coupon offers available across all online stores in India. 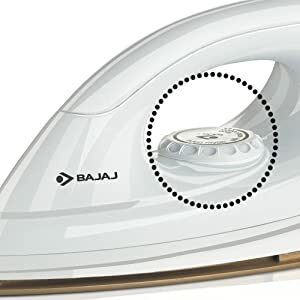 Bajaj DX 7 Non Stick Iron lowest price in India as on Wed, 24 Apr 2019 is Rs. 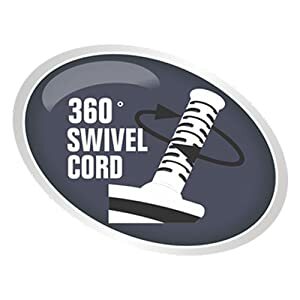 598.0 offered by Amazon. The Bajaj Majesty DX7 dry iron comes with a non-stick coating which facilitates its easy gliding on all kinds of fabric. 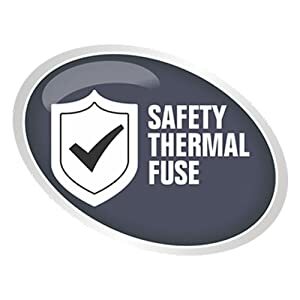 This non-stick coating ensures that the fabric doesn’t stick and get torn due to excessive heat. Hence, this steam iron runs smoothly on the fabric and checks accidental burns.The double indicator system in this Bajaj DX7 dry iron has been smartly designed to ensure additional safety and convenience. The red light gleams when the sole plate is heated and when the desired temperature is reached, green light glows.This Bajaj Majesty DX7 dry Iron comes with multiple temperature settings, which means that you can customize your ironing according to the fabric type. As we know that different fabrics need different temperatures to be ironed properly. Hence, this dry iron has an adjustable knob to help set temperature in accordance with the nature of fabric.